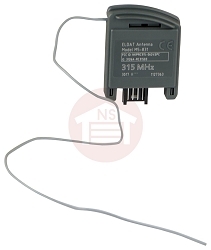 75424 / 73870 Marantec 315MHz External Receiver Kit. M3-631 Marantec Wireless Keypad 315MHz. 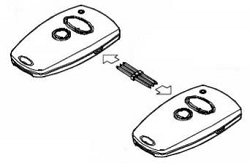 Find the Marantec garage door opener remotes and accessories you need at Garage Door Supply Co. We have 1-button and multiple-button remotes that come with clips to attach to your car's visor, as well as Marantec keychain remote controls that fit in your pocket. Control up to four functions with our 4-button mini remote. 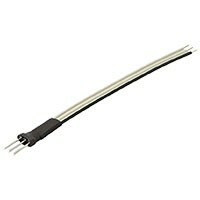 Our Marantec brand accessories include old-to-new programming cable, 315MHz external receiver kits and programming connectors. Control up to three 315MHz garage and/or gate operators with Marantec's wireless keypad with unique multi-bit technology. 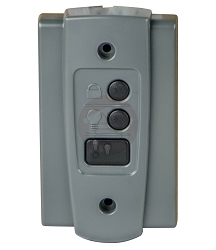 Install the M3-543 Marantec multi-function wall station inside your garage to control your garage door, lights and security vacation lock. Replace your out-of-date photo eyes with Marantec's Safety Sensor Kit infrared safety system that comes with sensors, wires and brackets. If you need tech support, you can trust our in-house experts. Contact us using our online contact form, or call 1-888-346-3176.